This statistic shows the population of Denmark from 2008 to 2018, by origin. The number of immigrants in Denmark was constantly rising. 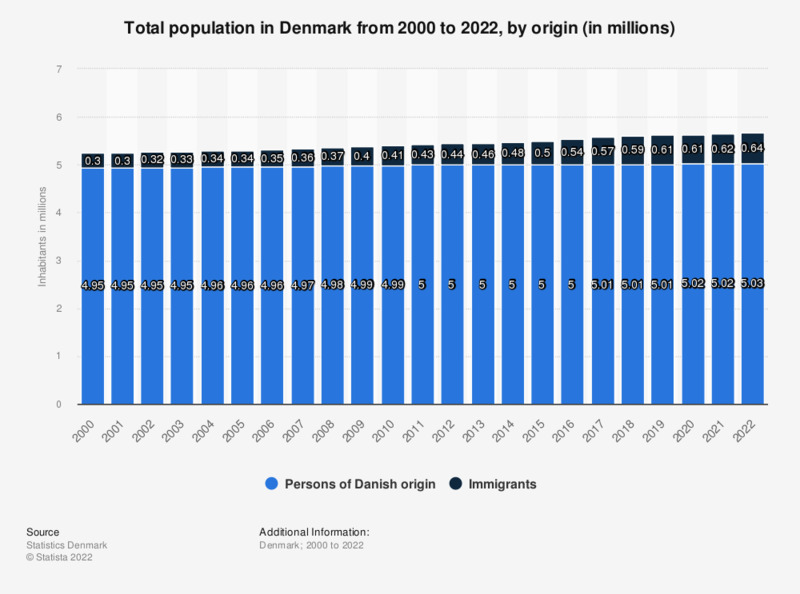 In 2018, there were roughly 0.5 million immigrants in Denmark. Inhabitants with foreign background are defined as people born outside of Denmark or people born in Denmark but whose both parents are foreign. Inhabitants of Danish origin are defined as people who were born in Denmark and whose one or both parents are born in the country as well. For this statistic, the numbers reported by the source have been rounded. Statistic shows number of inhabitants as of 1st January each year.